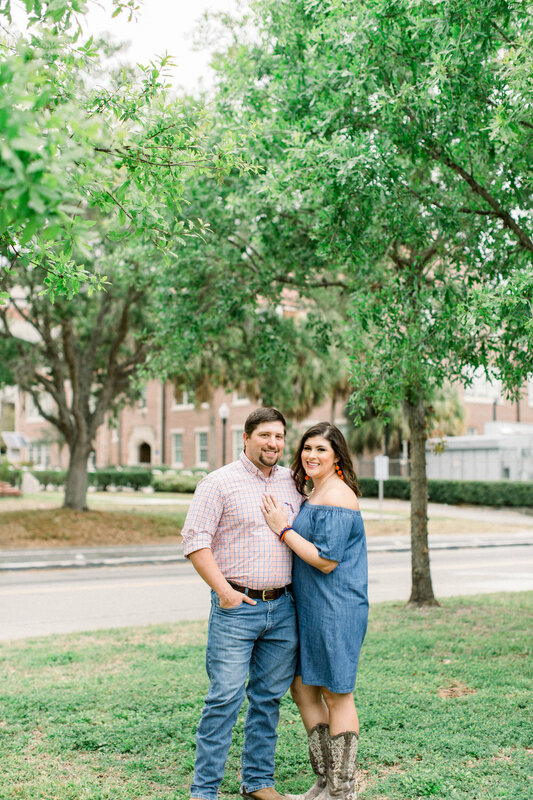 We met up with Janna & Aaron a few months ago to capture their everything Gainesville-themed engagement session. Started in the SWAMP aka Ben Hill Griffin Stadium (Go Gators!) and took time around the beautiful campus. 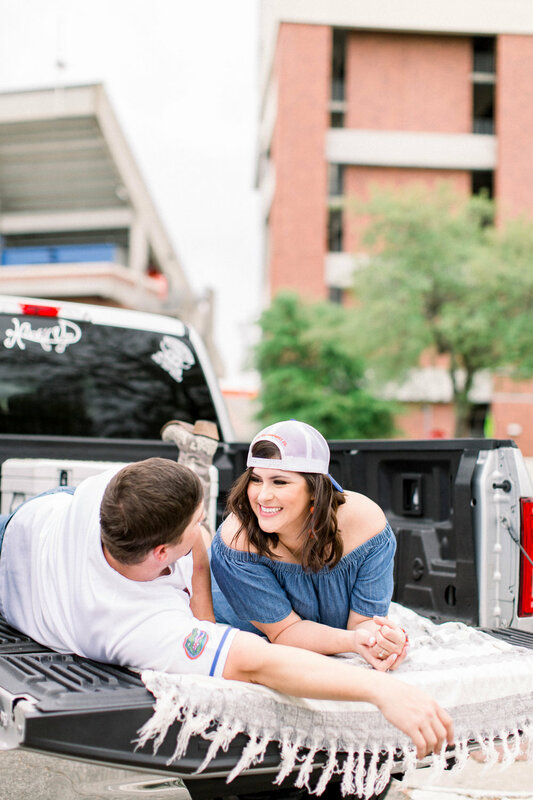 These two tailGATORS were precious and we LOVED the backwards hat in the back of her man’s pick-up truck photos! 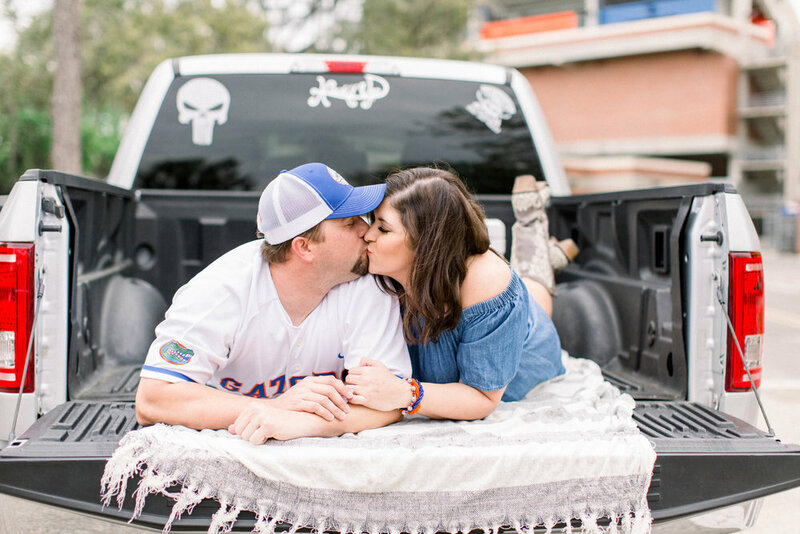 Then we moved onto ‘The Social’ where they first shared their first kiss, formerly known as ‘Gator City!’ We absolutely LOVE how these images turned out and we cannot wait to capture more pretty pictures and memories for them on October 20th of this year. . the Gators BYE week of course! ;) Janna & Aaron are getting married at Daughter’s Barn in Folkston, GA. 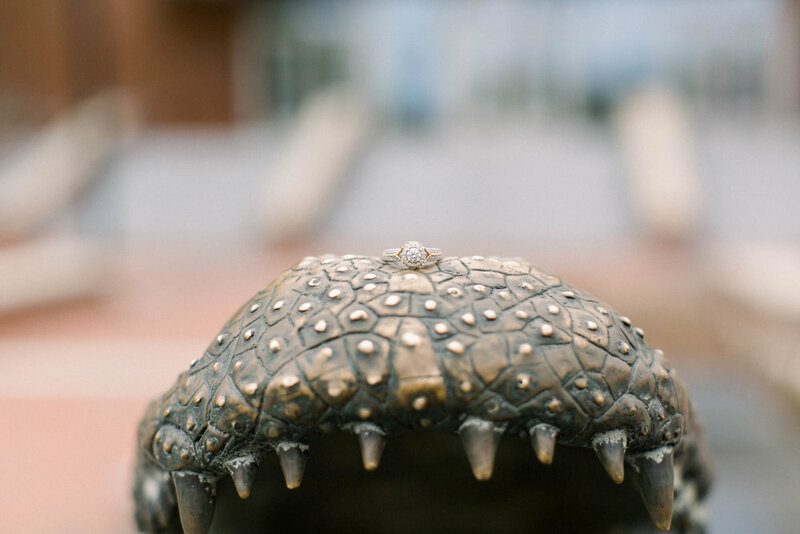 Enjoy a little Q+A as well as their love story through photographs. How long have y’all been together? When was the first kiss? 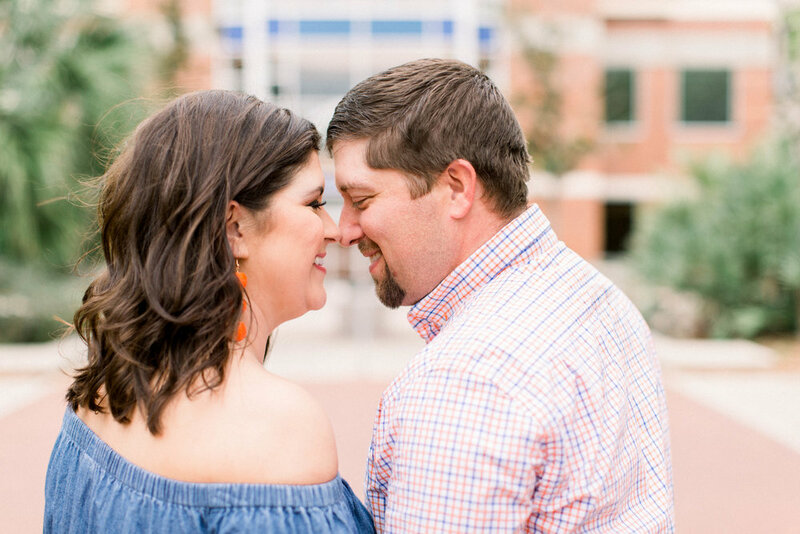 What are you most looking forward to at the wedding? Now you see why we absolutely ADORE this couple! The countdown is on for October 20th! See you guys in Folkston, GA so soon!